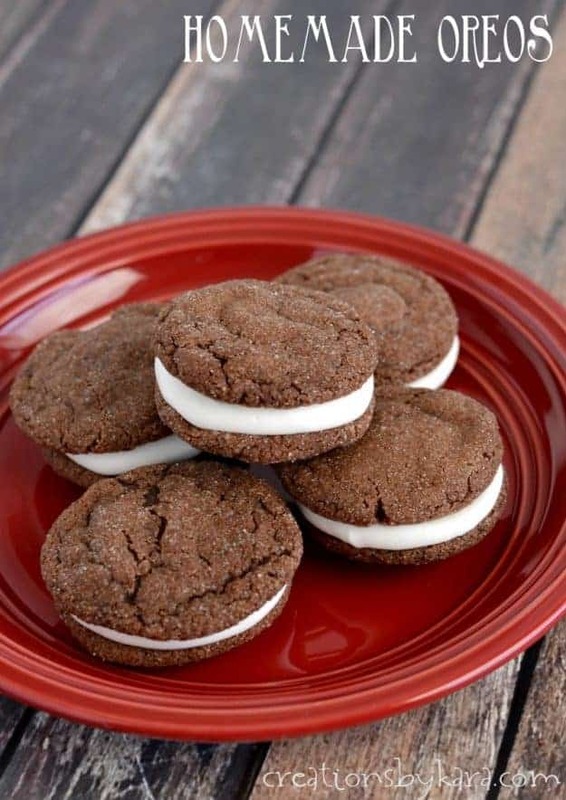 No one can resist these homemade Oreo Cookies! They are soft and chewy, and filled with a delicious cream cheese frosting. So yummy! Last week my son made up a batch of homemade oreo cookies for a scout auction. I had a few people call to ask for the recipe, and was surprised to see that I hadn’t posted it here before. I don’t know how I missed it. 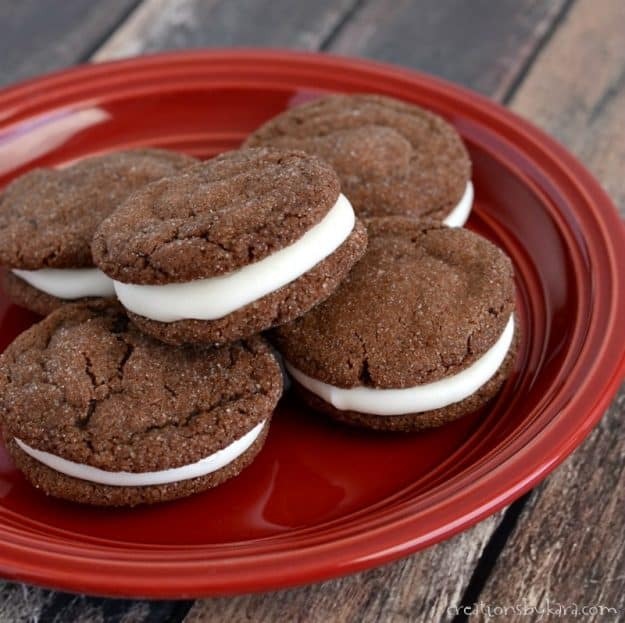 Homemade Oreos are totally amazing, and have been a family favorite for years. They are super simple to make because they start with a cake mix. And the cream cheese frosting in the middle makes them just divine. If you’ve never tried making your own oreos before, I highly recommend it. They are awesome! 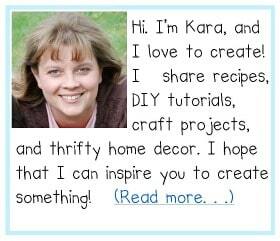 I usually make a double batch, because they disappear fast! I recommend using a cookie scoop for this recipe so that your cookies will all turn out the same size. It’s much easier to match the tops and bottoms together that way! 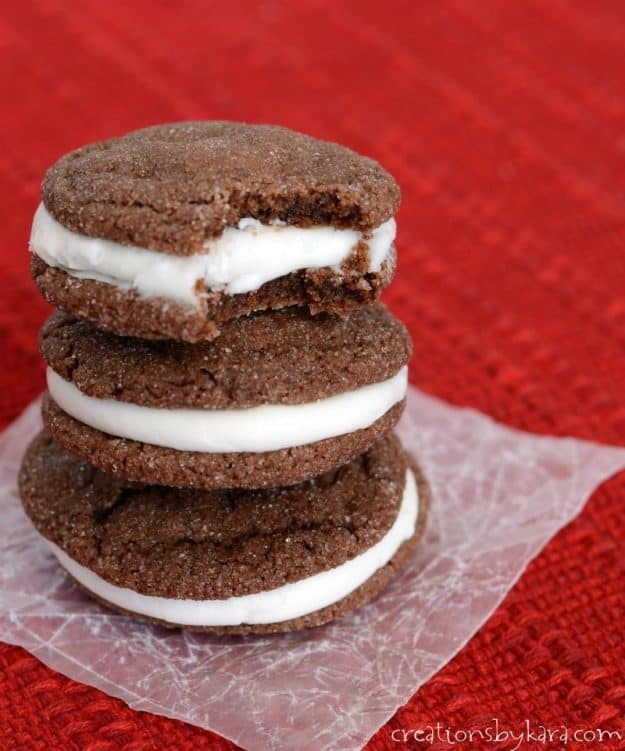 Chocolate sandwich cookies with a cream cheese filling. Cookies: Combine all ingredients together in a large mixing bowl. Stir till well blended. Dough will be stiff. Place balls on lightly greased or silpat lined cookie sheets. Bake at 350° for about 8-10 minutes. Remove to cooling racks and cool completely. Frosting: Beat cream cheese and butter till smooth. Add remaining ingredients and beat well. Frost the flat side of one cookie, then place another cookie on top, flat side down. Enjoy! 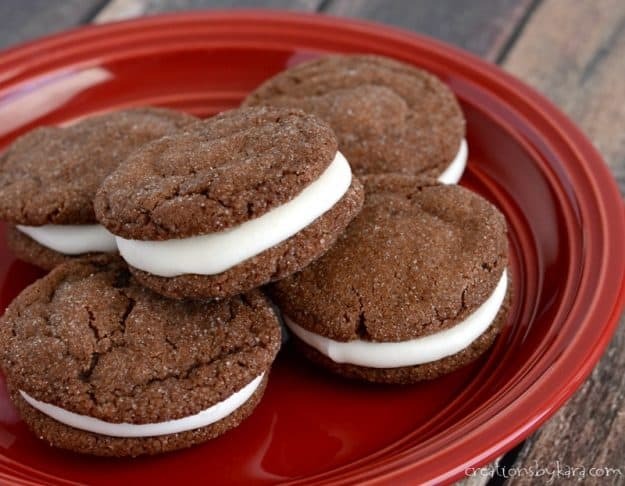 Here in Maine we call them Whoopie Pies. They’re our state dessert. Those are a family favorite for us too!